Motley Campout July Jimmy hung his Flute in the bark of this tree. To me it symbolizes man and nature. 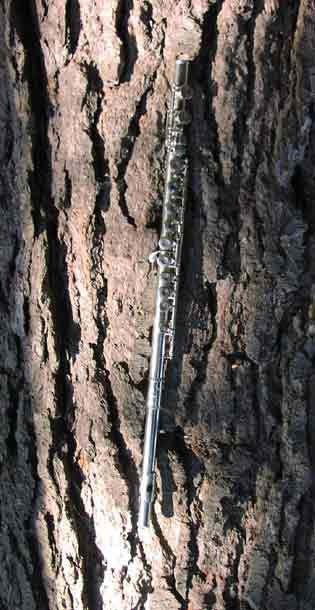 The flute notes sound as natural as bird calls and the wind .